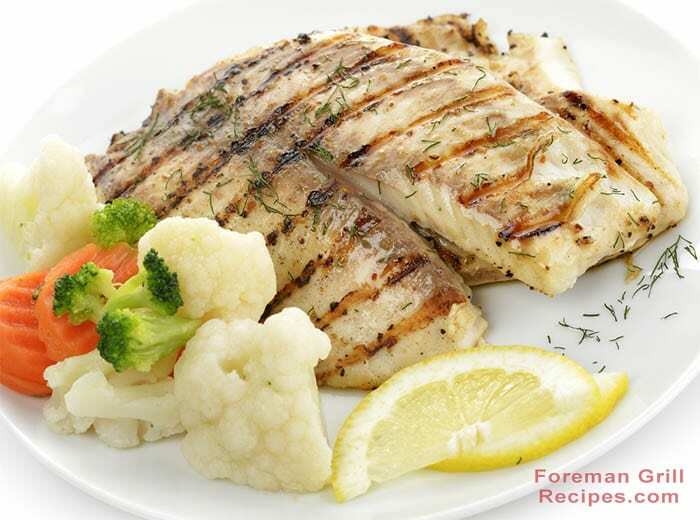 Here’s a great twist on a classic grilled tilapia recipe. The light and flaky taste of the tilapia is brought out in all its delicious glory with the simple use of butter, lemon and brown sugar. Don’t go overboard with the ingredients or it can overwhelm the flavor of the tilapia itself. This recipe will create such a rich and delicious flavor on your Foreman Grill, you’ll find it becomes a regular in your indoor grilling repertoire. Preheat your Foreman Grill with lid closed for at least 5 minutes. Melt butter in a small dish and coat both sides of tilapia. Add lemon juice and coat with salt, pepper and brown sugar. Grill for approximately 5 minutes, giving it a 1/4 turn halfway through if desired. Tilapia will flake easily with a fork when done. Excellent when served with fresh steamed cauliflower.